This is good. This is very good. 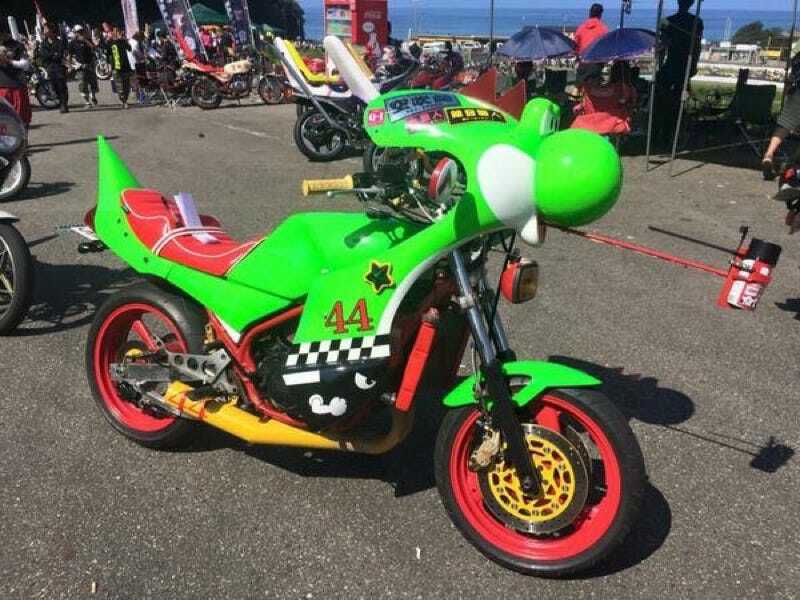 Twitter user Late Riser spotted this custom bike in Osaka. Maybe you can see how Yoshi’s tongue extends and is holding a can of 556 lubricant? Happiness is an angry V8 and a wide open runway. Kick the tires and light the fires, it’s time for takeoff.